With Wimbledon tennis season in full swing, we’ve dragged ourselves away from the TV to see how this renowned tennis tournament is being celebrated in the finest tea salons across the country. 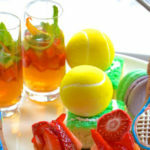 In no particular order, here’s our Top Ten Wimbledon themed afternoon teas. 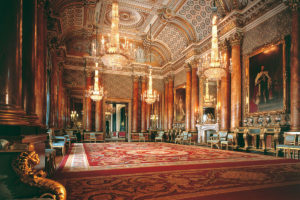 Wimbledon Afternoon Tea at the Winter Garden, Landmark Hotel, London. Set in the stunning glass atrium of the Winter Garden, afternoon tea is served with a tennis twist during Wimbledon fortnight. 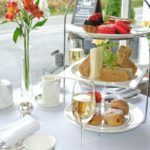 Their classic afternoon tea menu is something of a knock-out with a mouth-watering Pimm’s jelly infused with mint or classic strawberry cheese cake and decadent pistachio sponge cakes with rosé Champagne cream to name but a few. This Wimbledon themed afternoon tea comes with a glass of Champagne to add some extra sparkle to a superb dining experience. 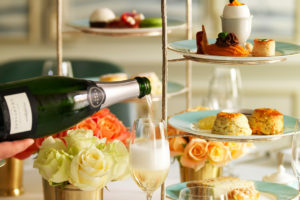 The Winter Garden Champagne Wimbledon themed afternoon tea is available from 27th June – 10 July. Tease your taste buds at the Landmark Hotel. This stylish venue is serving up a grand slam during the two week championship. 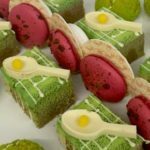 Their tennis themed fancies will tease your taste buds with a melt in the mouth Choux Pastry with Poached Apples and Tonka Ganache. Their Light Vanilla Sponge with Chantilly Cream and Raspberry Jam shouldn’t interfere with the waistline too much and their Pimm’s Jelly, Cucumber, Strawberry and Lime Froth will simply slide over the palate. 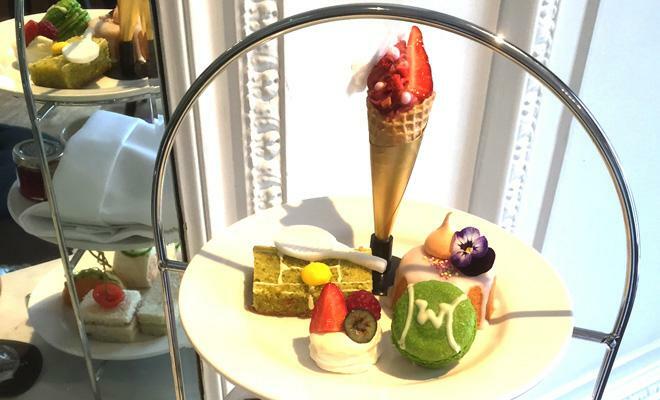 This Wimbledon themed afternoon tea is available from 27th June to 10th July 2016. Find out more at the Corinthia Hotel. You won’t miss any action at the Royal Garden. 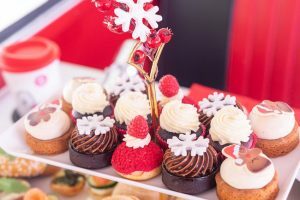 Their pastry chef has served an ace with his Pimms and Lemon Shot, Champagne and Chocolate Opera, Strawberry and Lemon Grass Tart, Mojito Macaron, Pistachio and Cherry Tranche and a 50th Anniversary Lemon Cupcake. Bliss. This tennis treat is available from 27th June – 10th July. Visit the Royal Garden Hotel. 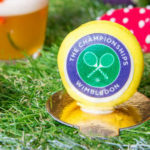 Renowned for their inspirational themed afternoon teas, the Ampersand Hotel have once again come up trumps with a decadent Wimbledon themed afternoon tea. 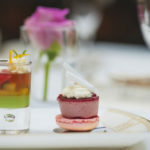 Their afternoon tea menu boasts Wimbledon inspired pastries which include Coconut mousse and mango passion fruit jelly tennis ball on a lime sponge tennis court, Ginger bread tennis racket, Strawberry and cream tart, Blueberry white chocolate ganache macaroon and Pimm’s cocktail shot. 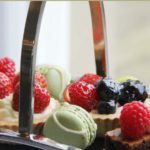 The Ampersand Hotel Wimbledon Afternoon Tea available from 20th June – 10th July. Discover a sensational dining experience at the Ampersand Hotel. Not far from Centre Court is the beautiful Oatlands Park Hotel. 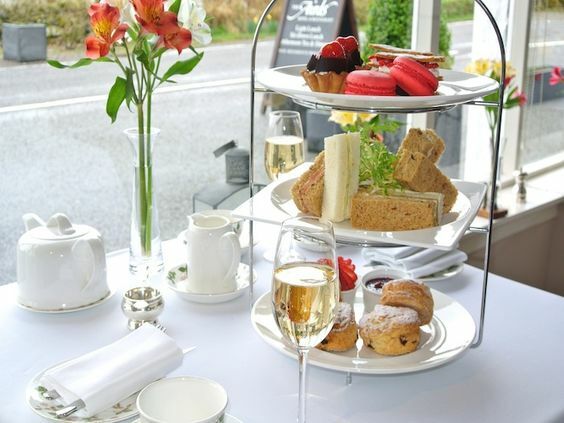 Renowned for their traditional English afternoon tea set in the elegant surrounds of their Mulberry Restaurant. 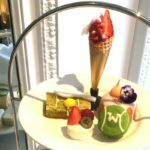 Throughout Wimbledon their afternoon tea menu will reflect the splendour of this tennis tournament with Wimbledon inspired cakes and a tasty strawberries and cream tea. 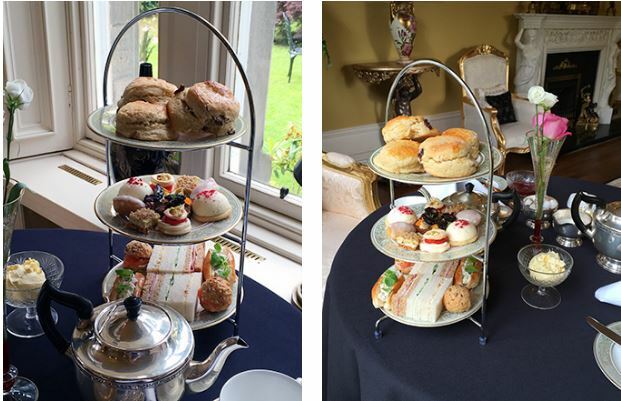 Oatlands Park Wimbledon inspired afternoon tea is available 27th June – 10th July, 3-5pm. Pay a visit to Oatlands Park Hotel. Heading further north, Wimbledon is being celebrated in the luxurious surrounds of Matfen Hall set amidst the beautiful Northumberland countryside. 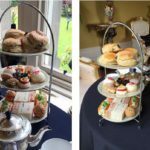 Check out afternoon tea at Matfen Hall. This stunning five-star Victorian mansion set in Scotland’s beautiful Perthshire countryside is run by local hero and tennis champion, Andy Murray. 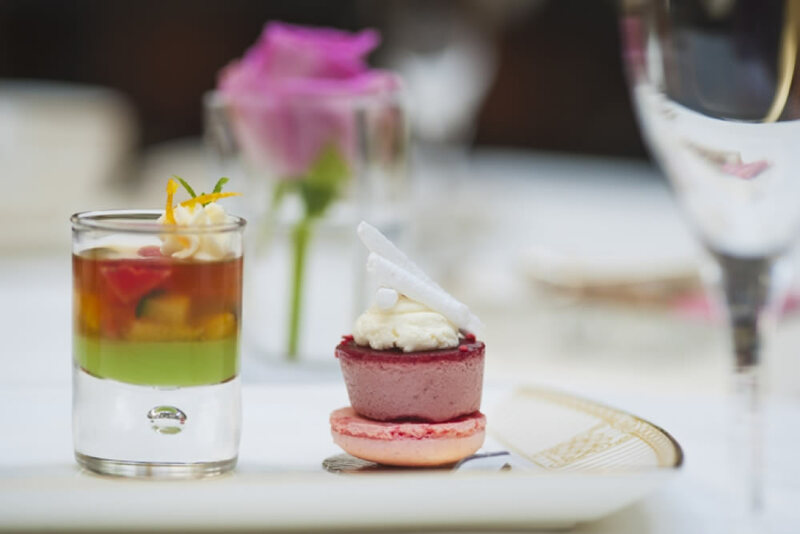 It comes as no surprise that tennis ace Judy Murray has organised a Wimbledon inspired afternoon tea experience at Cromlix this summer, raising money for Children Change Colombia. 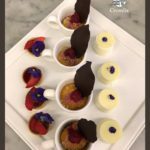 Prepared in the hotel’s celebrated Chez Roux restaurant, this sumptuous afternoon tea supported this worthwhile charity in aid of children in Colombia tackling issues of neglect, poverty and conflict. This event sold out in 24 hours. 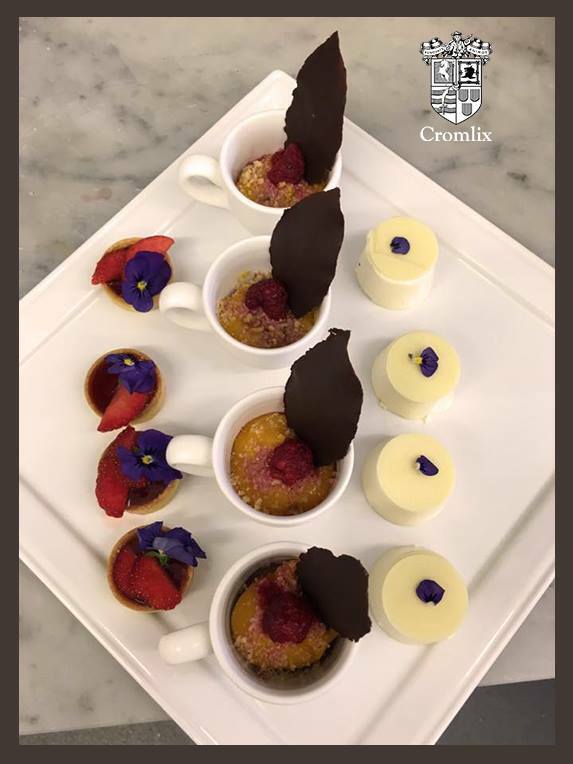 However, fear not, Cromlix serves up delicious afternoon tea throughout the year and is well worth adding to your “Must Do” List for a superb dining experience. Discover afternoon tea at Cromlix. This luxurious Airds Hotel in Port Appin, Near Oban, Argyll sits in the heart of the Scottish Highlands amidst some of the country’s most stunning scenery. 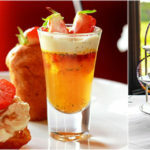 To celebrate Wimbledon and the start of the summer season, they are serving up a delicious Strawberry Afternoon Tea. 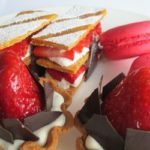 Their impressive three tiered cake stand boasts a fine selection of seasonal sandwiches, homemade scones and a sweet cake and pastry offering which includes freshly picked Scottish strawberries. 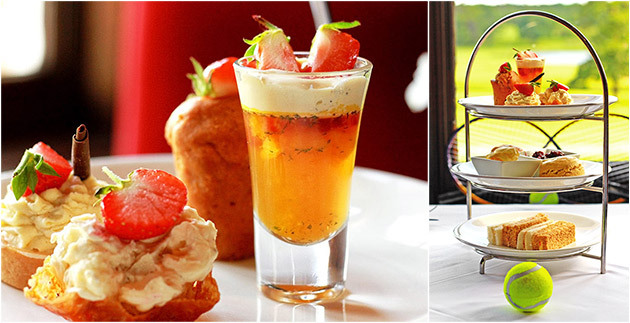 The Airds Hotel Strawberry Afternoon Tea is available until the end of July. Discover the magic of Airds Hotel. This award winning 5-star spa hotel is renowned for its excellent dining and beautiful garden views in Scotland’s gregarious city. Celebrating Wimbledon their culinary team have created an afternoon tea menu reflecting the flavours of Wimbledon. 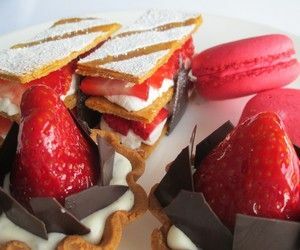 In addition to seasonal savouries their Wimbledon theme continues with a Strawberries and cream cone, Lemon and mint macaron, Pistachio and polenta sponge, Champagne soaked berry pavlova, Orange blossom cake and Freshly baked scones with clotted cream and preserves. 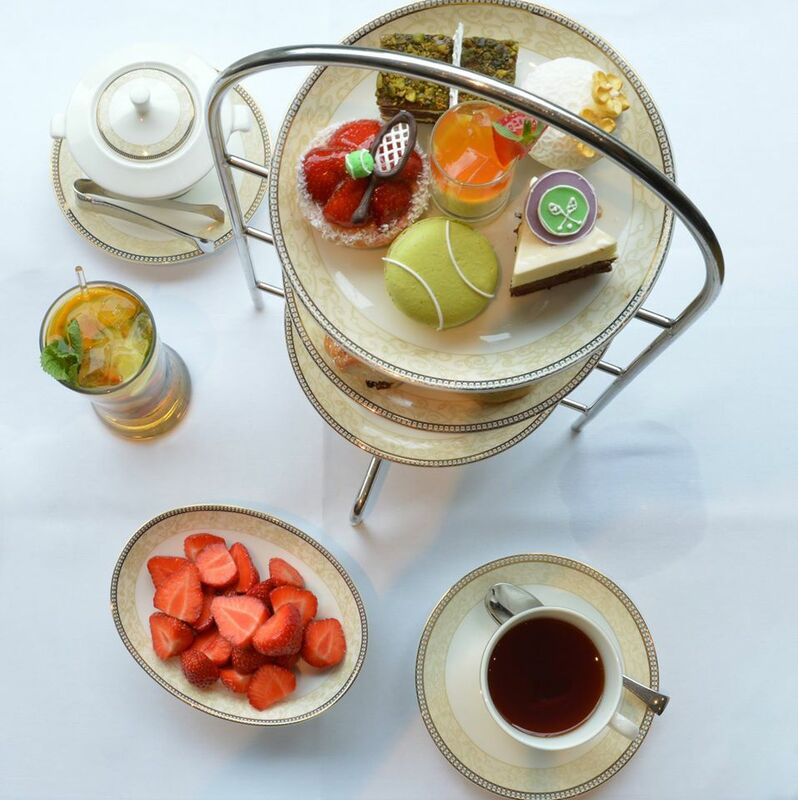 Blythswood Square are serving their Wimbledon inspired afternoon tea from 27th June – 10th July 2016. On the East Coast of Scotland in the delightful, historic city of St Andrew’s is the formidable Eden Mansion. To celebrate Wimbledon they have created 30 Love and 40 Love afternoon tea menus – a traditional afternoon tea selection served with champagne and strawberries. If you’ve enjoyed a Wimbledon afternoon tea not featured on this list, please feel free to add it below.